The best way for a Chicago reporter to learn about the rest of the state is to go there. Often. 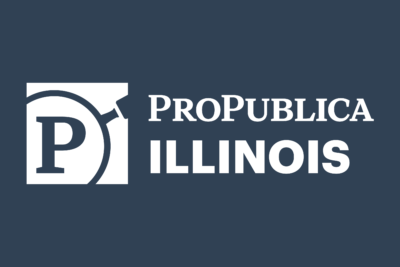 This story was first published in ProPublica Illinois’ weekly newsletter. Sign up for that here. I’m writing from the southbound Amtrak Saluki. It’s just after 9 a.m. on the last Wednesday of September, and we’re approaching the Kankakee station. I’ll be on board until the last stop, Carbondale — about a five-hour trip from Chicago. I’ve been on this route quite a bit since ProPublica Illinois started publishing nearly a year ago. If you’ve been a newsletter reader for that long, you might remember that getting out of Chicago and getting to know the rest of the state has been a goal of mine — and for our entire staff. 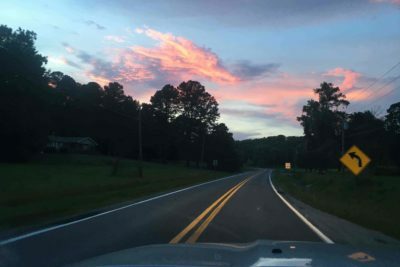 As a reporter at an investigative journalism organization that aims to cover statewide issues, it’s imperative for us to get out of the city and learn about the regional identities, histories, geographies and cultures that make up our state. “What kind of trouble are you here to stir up?” That one I get a lot. I’m not here to give Chicagoans travel tips or to give Amtrak free press, but I’d encourage the Chicago folks reading this to spend some time in a different part of the state. It might surprise you — in a good way. For about a year, I’ve averaged slightly over one trip every two months — via Amtrak or otherwise — to somewhere in Illinois outside Chicago. Still, I feel like I’m just beginning to get the hang of the state, and I’d like to hear what tips you have for me. 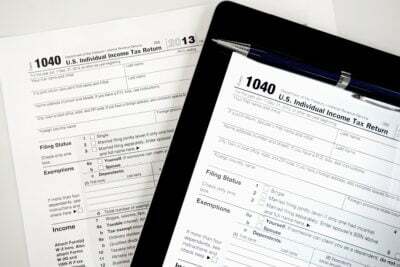 What’s happening in your part of Illinois? Where else should I go? Tips from south and central eastern Illinois would be specifically appreciated. That’s a part of the state I know very little about. Amtrak trains heading to Chicago end in an even number. Trains leaving Chicago end in an odd number. I don’t know how this information could be useful to you one day, but now you know. 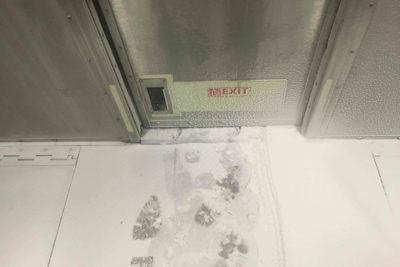 If you ride the train during winter, don’t be surprised to find it snowing between the rail cars. Tip: Sit close to the middle of the car, if possible. 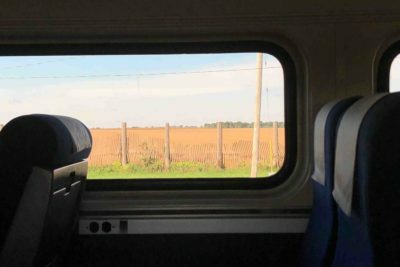 And if you’re heading north on the Saluki during the evening, sit on the west side of the train for a great sunset, regardless of season. Feel how you will about it, but there’s as much action and conversation (maybe even more) at any small-town McDonald’s as there is at locally owned establishments. Meet people at both. Du Quoin is pronounced “Do Coin.” Versailles, “Ver-sell-iss.” Vienna, “V-eye-enna.” And even though this is in Missouri, if you hear people talking about “Cape,” they’re talking about Cape Girardeau. If you go to East St. Louis, head to Eastside Express Restaurant for a fried fish sandwich and giant chocolate chip cookie. East St. Louis, by the way, is a far better place than how the former state lottery board chairman described it earlier this year — before he resigned. Don’t perpetuate those ugly stereotypes by posting photos of run-down or boarded up buildings, either. Same goes for Cairo, Illinois. Even if, like me, you are not a large-scale industrial farmer, you can learn some things listening to AgriTalk radio. Tune in while you’re driving past the corn and soybean farms of central Illinois. I swear, it will change the whole experience. If you’re a Chicagoan, if people ask you what on Earth you’re doing in their town, honesty never hurts. Say what I say: “I’m trying to spend some time outside of Chicago.” It could be the start of a great conversation. Anyway, I’m doing my best to keep getting out there. Again, I’m way more interested in hearing from you about what’s going on where you live. Write me at [email protected]. Oh, and happy fall. 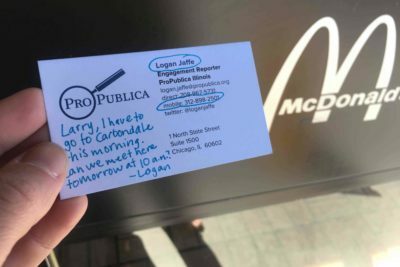 Logan Jaffe is the engagement reporter for ProPublica Illinois.